The value of your initial meeting with Retirement Think Box will be dramatically increased if a little preparation is completed in advance of the meeting time. Because we charge by the hour, it is to your advantage to come as prepared as possible. The following list provides an outline of suggestions to have for your initial consultation. Thank you for your help and we look forward to meeting with you soon! Download and complete the “Prepare for your first meeting” pdf file. This document is designed for the initial 1.5 hour consultation. Download the “Financial Goals and Priorities” pdf file. This document is the ideal starting point for financial planning as it helps you recognize your financial priorities. 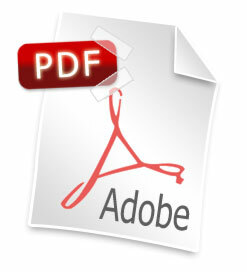 Download the “Financial planning fact sheet” pdf file. This document is more comprehensive and detailed. It is ideal for creating a retirement income plan. Download the “Financial planning worksheets” pdf file. This document helps you complete the most basic worksheets like a goals sheet, net worth statement, cash flow analysis, spending tracker.